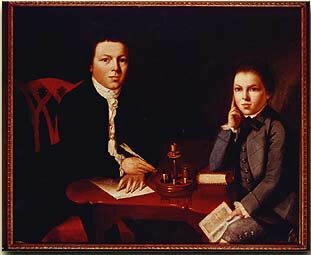 ultimate New England Inn experience. Its unparalleled excellence is evidenced by the fact that it's the only Five Star Diamond award-winner of the many Newport Bed and Breakfasts. Originally built in 1760 for shipping merchant Colonel Francis Malbone, this restored Colonial Newport mansion now offers visitors a luxurious place to call home during their stay in the "City by the Sea". 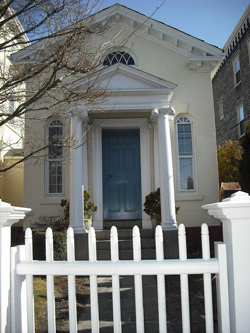 If you're trying to decide which of the Newport Bed and Breakfasts you should stay in, one question you might have is: "How hands-on are the innkeepers"? Having known the innkeepers personally for many years, I can attest to the level of personal attention and care shown to their guests. You can rest assured that your every need will be taken care of during your stay. 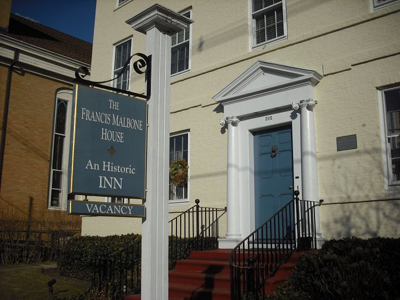 Of all the Newport Bed and Breakfasts, I doubt any of them have more dedicated innkeepers than the Francis Malbone House. I've been both a guest here, and a worker here. 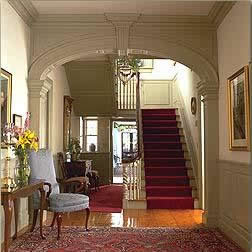 I was employed by the innkeepers' catering company for many years, and we worked many functions here. I've seen the operation from both the front and the back of the house, and everything done here is first-rate in every way. I could go on and on about what a fantastic place this is! 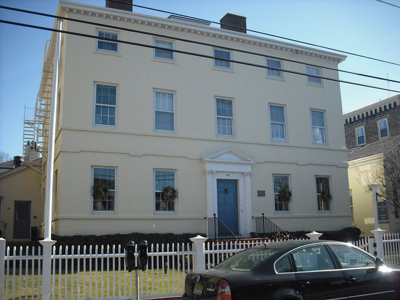 Let's just say that if someone asked me which of the Newport Bed and Breakfasts they should stay in, the Francis Malbone House would be at the top of my list! These rooms, located in the original mansion, feature a queen-size bed, private bath, cable TV, DVD, A/C, direct dial telephone with voice mail and wireless internet. Two rooms on the second floor also offer a fireplace. These rooms, located in the original mansion and offering a limited view of the Newport Harbor, feature a queen size, four-poster bed, private bath, plasma TV, DVD, A/C, direct dial telephone with voice mail, wireless internet and fireplace. Two rooms on the third floor feature an additional twin size bed to comfortably accomodate up to three adults. Four of these rooms are located on the second floor of our Courtyard wing. 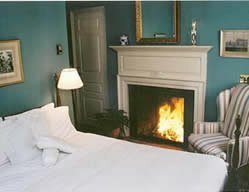 Our Newport Rooms feature a king-size, four-poster bed, private bath with Jacuzzi, plasma TV, DVD, A/C, direct dial telephone with voice mail and wireless internet and fireplace. If a picture is worth a thousand words, then a video is worth...well just watch the video! Located on the first floor of our new courtyard wing, three of the four rooms feature a king-size, four-poster bed and one of the rooms offer a queen-size bed. All four rooms have private bath with Jacuzzi, plasma TV, DVD, direct dial telephone with voice mail and wireless internet, A/C and fireplace. 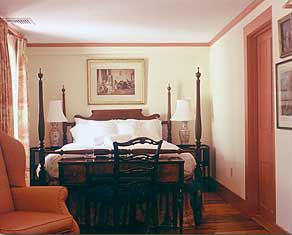 The king bedded rooms have French doors that open out to a semi-private courtyard. 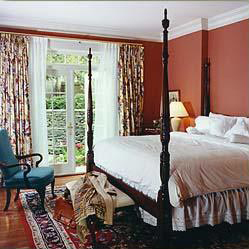 The queen bedded room has French doors that open out to our main courtyard. 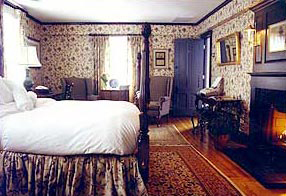 Located on the second floor of the Benjamin Mason House, this antique filled deluxe room offers a custom made queen-size bed, private bath with a double Jacuzzi and seperate marble shower, sitting area with plasma TV and DVD, direct dial telephone with voice mail and wireless internet, central heat, air-conditioning and fireplace. 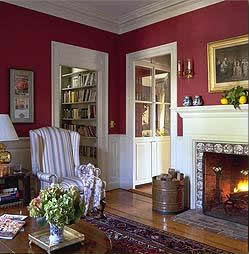 The Stillhouse also shares three guest parlors on the main floor with the Benjamin Mason Suite. Two couples can reserve both rooms and enjoy the privacy of their very own colonial home on Newport's Harborfront. Located on the first floor of our courtyard wing, this suite offers a king-size, four-poster bed, private bath with Jacuzzi, sitting area with cable TV and DVD, direct dial telephone with voice mail and wireless internet, wet bar and refrigerator, A/C and fireplace. French doors lead to a beautifully manicured semi-private courtyard. 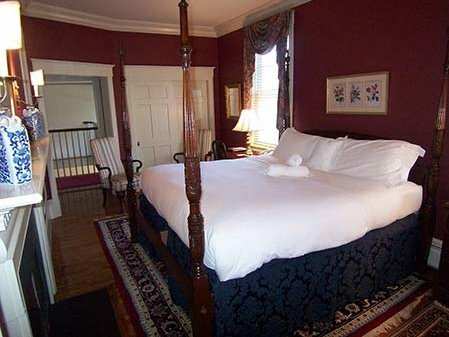 Located on the second floor of the Benjamin Mason House, this antique filled suite offers a custom made king-size bed, private bath with a double Jacuzzi and seperate marble shower, sitting area with plasma TV and DVD, direct dial telephone with voice mail and wireless internet, central heat and air-conditioning and fireplace. 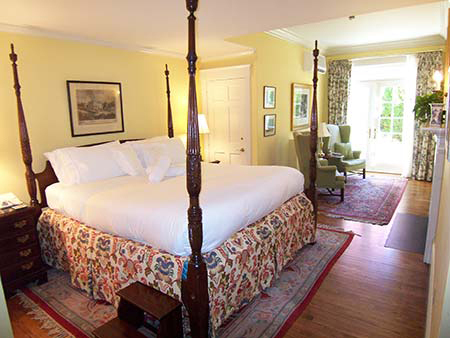 The Benjamin Mason Suite also shares three guest parlors on the main floor with the Stillhouse Room. Two couples can reserve both rooms and enjoy the privacy of their very own colonial home on Newport's Harborfront. Malbone's most spacious and luxurious suite dates back to 1850. The Counting House suite offers a king-size canopy bed, private bath with a double Jacuzzi and separate oversized marble shower, large sitting area, dining room table and chandelier, refrigerator, plasma TV, direct dial telephone with voice mail and wireless internet, air-conditioning, fireplace and its own private entrance. 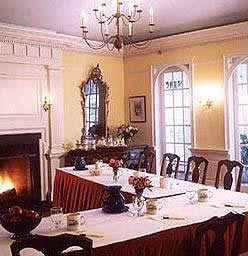 The Francis Malbone House is the ideal location for a corporate retreat. Take care of business in style during the day, then step outside onto historic Thames Street and enjoy Newport Rhode Island's vibrant night life! In-Room A/C and working fireplaces. 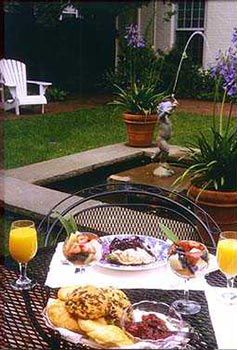 The Francis Malbone House has many advantages over other Newport Bed and Breakfasts. One of them is it's location. The inn is located in the heart of downtown Newport, just steps from the intersection of America's Cup Avenue, Memorial Boulevard and Thames Street. Once you step outside it's doors, you are within walking distance of just about everything! 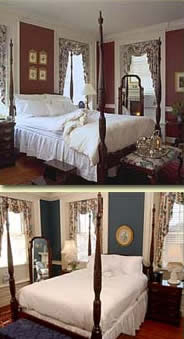 The Francis Malbone House is one of the finest Newport Bed and Breakfasts you will ever have the pleasure of visiting. Other travelers are becoming more and more aware of this as well. 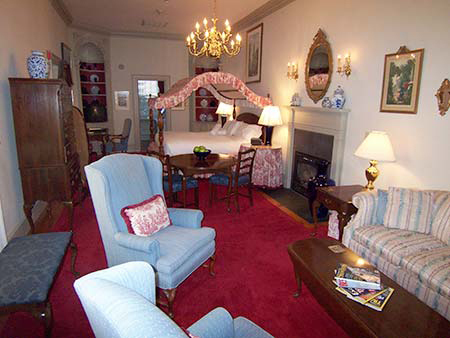 If you're looking into New England inns for your vacation, look no further. Don't let someone else beat you to the best rooms and dates! 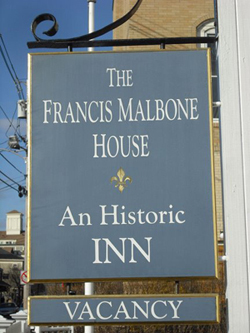 Contact the Francis Malbone House now to book your stay. Just fill out the form below, and someone will contact you with the information you're looking for.